"Big 12" redirects here. For the high school conference in Central Illinois, see Big Twelve Conference (Illinois). For the high school conference in Northeastern Illinois, see Northern Illinois Big 12 Conference. The Big 12 Conference is a collegiate athletic conference headquartered in Irving, Texas. The conference consists of ten full-member universities. It is a member of Division I of the National Collegiate Athletic Association (NCAA) for all sports. Its football teams compete in the Football Bowl Subdivision (FBS; formerly Division I-A), the higher of two levels of NCAA Division I football competition. Its ten members, located in Iowa, Kansas, Oklahoma, Texas, and West Virginia, include eight public and two private, Christian schools. Additionally, the Big 12 has 11 affiliate members, eight for the sport of wrestling, one for women's gymnastics, and two for women's rowing. The Big 12 Conference is a 501(c)(3) nonprofit organization incorporated in Delaware. The Big 12 Conference was founded on February 25, 1994. The eight members of the former Big Eight Conference joined with Southwest Conference schools Texas, Texas A&M, Baylor, and Texas Tech to form the new Big 12 Conference, which commenced competition on August 31, 1996. Oklahoma and Oklahoma State were grouped with the four former SWC schools in the Big 12 South division, while the other six teams of the former Big Eight (Kansas, Kansas State, Colorado, Nebraska, Missouri and Iowa State) formed the Big 12 North division. The conference's current 10-campus makeup resulted from the 2010–13 Big 12 Conference realignment, in which Nebraska joined the Big Ten Conference, Colorado joined the Pac-12, and Missouri and Texas A&M joined the Southeastern Conference. TCU and West Virginia joined from the Mountain West and Big East Conferences respectively to offset two of the departing schools, bringing the conference to its current strength. The Big 12 Conference, like others involved in the realignment, has kept its name primarily for marketing purposes; the conference has high name recognition and remains one of the Power Five conferences which are considered the primary contenders to produce a College Football Playoff champion team in any given year. Attempts to rename the Big 12 to reflect its current strength would lead to confusion with the current Big Ten Conference (which currently has 14 teams). The Big 12 Conference commissioner is Bob Bowlsby. On July 29, 2015, the Big 12 announced it would add the six former members of the Western Wrestling Conference—Air Force, Northern Colorado, North Dakota State, South Dakota State, Utah Valley, and Wyoming—as affiliate members for wrestling, plus Denver as an affiliate member for women's gymnastics, all effective with the 2015–16 school year. On July 5, 2017, the Big 12 added Fresno State and Northern Iowa as wrestling affiliates. ^ Affiliation in former Big 12 sport(s); does not necessarily match primary affiliation. The Big 12 Conference sponsors championship competition in ten men's and thirteen women's NCAA sanctioned sports. Rifle is often categorized as a men's sport because the NCAA bylaws that establish scholarship limits for each sport list rifle as a men's sport. Nonetheless, it is an open coed sport in NCAA college athletics, with men's, women's, and coed teams in all NCAA divisions competing against each other. TCU and West Virginia both field coed teams. Through 2017, West Virginia with 19 national titles and TCU with two, together have won over half of the NCAA titles awarded since the inaugural NCAA championship in 1980. West Virginia also won four pre-NCAA national titles. Rifle is often categorized as a men's sport because the NCAA bylaws that establish scholarship limits for each sport list rifle as a men's sport. Nonetheless, it is an open coed sport in NCAA college athletics, with men's, women's, and coed teams in all NCAA divisions competing against each other. TCU and West Virginia both field coed teams. Through 2018, West Virginia with 19 national titles and TCU with two, together have won over half of the NCAA titles awarded since the inaugural NCAA championship in 1980. West Virginia also won four pre-NCAA national titles. The Big 12 Conference is a major college athletic conference in the United States, having formed in February 1994 when four prominent colleges from Texas that were members of the Southwest Conference were invited to join the eight members of the Big Eight Conference to form a new 12 member conference. The Big 12 does not claim the Big Eight's history as its own, even though it was essentially the Big Eight plus the four Texas schools. The Big 12 began athletic play in the fall of 1996, with the Texas Tech vs. Kansas State football game being the first-ever sports event staged by the conference. From its formation until 2011, its 12 members competed in two divisions. Between 2011 and 2012 four charter members left the conference, while two schools joined in 2012. Former Texas Athletic Director DeLoss Dodds and former football coach Mack Brown, along with Oklahoma football coach Bob Stoops, preferred not to have a championship game. Critics argued it was a competitive advantage over other contract conferences. Conferences with a championship game have their division champions typically play one of their toughest games of the year in the last week of the regular season. Unlike the other "Power 5" conferences in which a team only plays a portion of the other teams in the conference each season, each Big 12 team plays the other nine teams during its conference schedule. This theoretically allows for the declaration of a de facto champion without the need for an additional rematch between the top two teams in the conference. On June 3, 2016, the conference announced it would reinstate the football championship game in the 2017 season. This followed the passage of a new NCAA rule allowing all FBS conferences to hold "exempt" football championship games regardless of their membership numbers. The Big 12 schools are located in the states of Texas, Oklahoma, Kansas, West Virginia and Iowa. These states have a combined population of 37.8 million. As of 2013, out of the 115.6 million TV households nationwide there are only 13,427,130 TV households in those states (11.6%), although Morgantown, West Virginia where WVU is based is in the Pittsburgh television market, which increases the Big 12's television base well into Pennsylvania, and Lawrence, Kansas, where KU is based, is in the Kansas City television market, increasing the base into western Missouri. The Big 12's share of the nation's TVs is similar to that reached by the rest of the Power Five. The conference negotiated tier 1 and 2 TV contracts with total payouts similar to those of the other Power Five conferences. Member schools granted their first and second tier sports media rights to the conference for the length of their current TV deals. The Grant of Rights (GOR) deal with the leagues' TV contracts ensures that "if a Big 12 school leaves for another league in the next 13 years, that school's media rights, including revenue, would remain with the Big 12 and not its new conference." GOR is seen by league members as a "foundation of stability" and allowed the Big 12 to be "positioned with one of the best media rights arrangements in collegiate sports, providing the conference and its members unprecedented revenue growth, and sports programming over two networks." All members agreed to the GOR and later agreed to extend the initial 6-year deal to 13 years to correspond to the length of their TV contracts. Prior to this agreement, the Big Ten and Pac-12 also had similar GOR agreements. The Big 12 subsequently assisted the ACC in drafting its GOR agreement. Four of the five major conferences now have such agreements, with the SEC the only exception. The Big 12 is the only major conference that allows members to monetize TV rights for tier 3 events in football and men's basketball. This allows individual Big 12 member institutions to create tier 3 deals that include TV rights for one home football game and four home men's basketball games per season. Tier 3 rights exist for other sports as well, but these are not unique to the Big 12. The unique arrangement potentially allows Big 12 members to remain some of college sports' highest revenue earners. Other conferences' cable deals are subject to value reductions based on how people acquire cable programming; Big 12 schools' tier 3 deals are exempt. Texas alone will earn more than $150 million of that total from their Longhorn Network. a Twelve Big 12 members received disbursements each year from 1997–2011; ten each year afterwards. Individual schools' disbursement varied annually according to bylaw rules and entrance or withdrawal agreements. Conference revenue comes mostly from television contracts, bowl games, the NCAA, merchandise, licensing and conference-hosted sporting events. The Conference distributes revenue annually to member institutions. From 1996 to 2011, 57 percent of revenue was allotted equally; while 43 percent was based upon the number of football and men's basketball television appearances and other factors. In 2011, the distribution was 76 percent equal and 24 percent based on television appearances. Changing the arrangement requires a unanimous vote; as a Big 12 member, Nebraska and Texas A&M had withheld support for more equitable revenue distribution. With this model, larger schools can receive more revenue because they appear more often on television. In 2006, for example, Texas received $10.2 million, 44% more than Baylor University's $7.1 million. Big 12 revenue was generally less than other BCS conferences; this was due in part to television contracts signed with Fox Sports Net (four years for $48 million) and ABC/ESPN (eight years for $480 million). In 2011, the Big 12 announced a new 13-year media rights deal with Fox that would ensure that every Big 12 home football game is televised, as well as greatly increasing coverage of women's basketball, conference championships and other sports. The deal, valued at an estimated $1.1 billion, runs until 2025. In 2012, the conference announced a new ESPN/FOX agreement, replacing the current ABC/ESPN deal, to immediately increase national media broadcasts of football and increase conference revenue; the new deal was estimated to be worth $2.6 billion through the 2025 expiration. The two deals pushed the conference per-school payout to approximately $20 million per year, while separating third-tier media rights into separate deals for each school; such contracts secured an additional $6 million to $20 million per school annually. The per-school payout under the deal is expected to reach $44 million, according to Commissioner Bob Bowlsby. Revenue includes ticket sales, contributions and donations, rights/licensing, student fees, school funds and all other sources including TV income, camp income, food and novelties. Total expenses includes coaching/staff, scholarships, buildings/ground, maintenance, utilities and rental fees and all other costs including recruiting, team travel, equipment and uniforms, conference dues and insurance costs. Data is from United States Department of Education. *Iowa State discontinued its participation in baseball as an NCAA-recognized activity following the 2001 season. It participates in club baseball as a member of the National Club Baseball Association. Games are played at Cap Timm Field, capacity 3,000. The following is a list of all NCAA, equestrian, and college football championships won by teams that were representing the Big 12 Conference in NCAA-recognized sports at the time of their championship. The national championships listed below are as of March 2016. Football, Helms, pre-NCAA competition and overall equestrian titles are included in the total, but excluded from the column listing NCAA and AIAW titles. The Conference sponsors 23 sports, 10 men's and 13 women's. 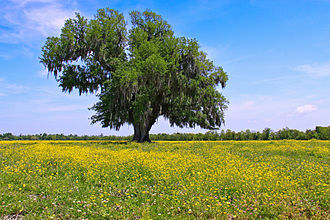 In football, divisional titles were awarded based on regular-season conference results, with the teams with the best conference records from the North and South playing in the Big 12 Championship Game from 1996 to 2010. Baseball, basketball, softball, tennis and women's soccer titles are awarded in both regular-season and tournament play. Cross country, golf, gymnastics, swimming and diving, track and field, and wrestling titles are awarded during an annual meet of participating teams. The volleyball title is awarded based on regular-season play. Titles as of June 2018. Note, includes both regular-season, tournament titles, and co-championships. List does not include conference championships won prior to the formation of the Big 12 Conference in 1996. The first football game in conference play was Texas Tech vs. Kansas State in 1996, won by Kansas State, 21–14. From 1996 to 2010, Big 12 Conference teams played eight conference games a season. Each team faced all five opponents within its own division and three teams from the opposite division. Inter-divisional play was a "three-on, three-off" system, where teams would play three teams from the other division on a home-and-home basis for two seasons, and then play the other three foes from the opposite side for a two-year home-and-home. This format came under considerable criticism, especially from Nebraska and Oklahoma, who were denied a yearly match between two of college football's most storied programs. The Nebraska-Oklahoma rivalry was one of the most intense in college football history. (Until 2006, the teams had never met in the Big 12 Championship.) Due to the departure of Nebraska and Colorado in 2011, the Big 12 eliminated the divisions (and championship game) and instituted a nine-game round-robin format. With the advent of the College Football Playoff committee looking at teams' strength of schedule for picking the four playoff teams, on December 8, 2015 the Big 12 announced an annual requirement for all Big 12 teams to schedule a non-conference game against a team from the four other Power Five conferences (plus Notre Dame). Per Big 12 commissioner Bob Bowlsby: "Schedule strength is a key component in CFP Selection Committee deliberations. This move will strengthen the resumes for all Big 12 teams. Coupled with the nine-game full round robin Conference schedule our teams play, it will not only benefit the teams at the top of our standings each season, but will impact the overall strength of the Conference." The Big 12 Championship Game game was approved by all members except Nebraska. It was held each year, commencing with the first match in the 1996 season at the Trans World Dome in St. Louis. It pitted the division champions against each other after the regular season was completed. Following the 2008 game, the event was moved to the new Cowboys Stadium in Arlington, Texas, being played there in 2009 and 2010. In 2010, the Sooners defeated the Cornhuskers 23–20. After 2010, the game was moved to Arlington for 2011, 2012, and 2013. However, the decision became moot following the 2010 season because the league lacked sufficient members. The game involves the top two teams following a full round-robin conference schedule. The game involves two divisional winners, each having played a full round-robin schedule in its division. Under the first criterion, the Big 12 championship game will resume at the conclusion of the 2017 regular season, and will be played during the first weekend of December, the time all other Division I FBS conference championship games are played. †:The Big 12 champion will go to the Sugar Bowl unless selected for the College Football Playoff. In the event that the conference champion is selected for the playoff, the conference runner up will go to the Sugar Bowl. Rivalries (primarily in football) mostly predate the conference. The Kansas-Missouri rivalry was the longest running, the longest west of the Mississippi and the second longest in college football. It was played 119 times before Missouri left the Big 12. As of October 2012, the University of Kansas' athletic department had not accepted Missouri's invitations to play inter-conference rivalry games, putting the rivalry on hold. Sports clubs sponsored by the two universities continued to play each other. The rivalry between TCU and Baylor, known as the Revivalry is also one of the longest running in college football, with the two schools having played each other — largely as Southwest Conference members — 112 times since 1899. As of the 2016 game, TCU leads the series 53–52–7. The Oklahoma-Texas rivalry, the Red River Showdown is one year younger and has been played 108 times. This was a major rivalry decades before they were both in the conference, starting the year after the Revivalry in 1900. Currently Texas leads this rivalry 60–44–5. From 1996 to 2011, standings in conference play were not split among divisions, although the schedule was structured as if they were. Teams played a home-and-home against teams within their "division"s and a single game against teams from the opposite division for a total of 16 conference games. After Nebraska and Colorado left, Big 12 play transitioned to an 18-game, double round robin schedule. Big 12 basketball teams played non-division members only once and in-division members twice during the regular season in a 16-game schedule until the 2012-13 season when its ten teams adopted a "home and away" double round robin 18-game schedule. The conference tournament gave first round byes to the top four teams from 1997 until 2012, and the top six teams 2013 to present. Kansas has the most Big 12 titles, winning or sharing the regular-season title 17 times in the league's 21 seasons. The 2002 Jayhawks became the first, and so far only, team to complete an undefeated Big 12 regular season, going 16–0. As of the 2017-2018 season, Kansas had won or shared 14 straight regular-season league titles and 16 of the past 17. Though rematches between Big 12 regular season co-champions have happened in that year's Big 12 tournament, none have met in the ensuing NCAA Tournament. In 2004–05, Oklahoma won the Big 12 Tournament seeding tiebreaker over Kansas based on its 71–63 win over the Jayhawks in Norman, OK. The teams did not meet in Kansas City, MO. In 2005–06, Texas won the Big 12 Tournament seeding tiebreaker over Kansas based on its 80–55 win over the Jayhawks in Austin, TX. Kansas beat Texas 80–68 in the Big 12 Tournament championship game in Dallas, TX. In 2007–08, Texas won the Big 12 Tournament seeding tiebreaker over Kansas based on its 72–69 win over the Jayhawks in Austin, TX. Kansas beat Texas 84-74 in the Big 12 Tournament championship game in Kansas City, MO. In 2012–13, Kansas won the Big 12 Tournament seeding tiebreaker over Kansas State based on winning 59–55 in Manhattan and 83–62 in Lawrence. Kansas beat Kansas State for a third time 70-54 in the championship game in Kansas City, MO. Totals though the end of the 2015-16 season. Totals though the end of the 2015–16 season. All current Big 12 members sponsor baseball except Iowa State, which dropped the sport after the 2001 season. All former Big 12 members sponsored the sport throughout their tenures in the conference except Colorado, which never sponsored baseball during its time in the Big 12. As of the completion of the 2018 tournament. The majority of Big 12 home men's basketball games are produced by ESPN. They may be carried on ESPN, ESPN2 or ESPNU. The Big 12 features in ESPN's Big Monday telecast, which has an exclusive 8 PM CT window for the Big 12. Occasional high-profile Saturday games may be picked up for national broadcast by CBS. The Big 12 men's basketball tournament is produced by ESPN and is carries on ESPN, ESPN2, and ESPNU during the same week when those networks carry the SEC, ACC, and Pac-12 tournaments among others. Some women's basketball games may be produced by Fox Sports and carried on FS1. The women's basketball tournament is produced by Fox Sports. ESPN may occasionally pick up a volleyball, soccer, women's gymnastics, softball, or baseball contest for coverage on ESPN, ESPN2, or ESPNU. The championship tournaments for soccer, softball, and baseball are produced by Fox Sports. Athletic events not selected for national broadcast are often produced by the athletic department of the home team. This is particularly common for regular season volleyball, soccer, gymnastics, women's basketball, softball, baseball, tennis, and golf events. These locally produced telecasts are carried on a variety of outlets, including regional Fox Sports networks, the Longhorn Network, or online-only platforms. ^ "Big 12 Conference Biography". Big 12 Conference. 2014. Retrieved November 5, 2014. ^ "Big Twelve Conference Inc". Exempt Organizations Select Check. Internal Revenue Service. Accessed on June 17, 2016. ^ "The Big 12 Conference, Inc." Entity Details. Division of Corporations. Delaware Department of State. Accessed on June 17, 2016. 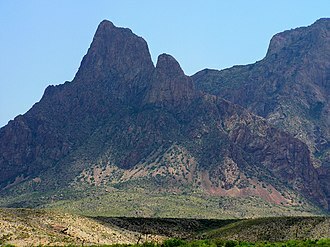 ^ "Texas Giants Merge With Big 8". The Nevada Daily Mail, via Google News. Associated Press. February 27, 1994. Retrieved 1 July 2017. Texas and Texas Tech voted...to...join the Big Eight. ^ Soliz, Brandon (September 12, 2018). "RedRaiderSports.com - Takeaways: Hocutt addresses recent uniform issue and more on radio show". texastech.rivals.com. Retrieved September 12, 2018. ^ "WVU Facts – About – West Virginia University". Retrieved 14 November 2017. ^ "Final Enrollment – Fall 2016" (PDF). Iowa State University – Office of the Registrar. February 10, 2017. ^ "Enrollment numbers". 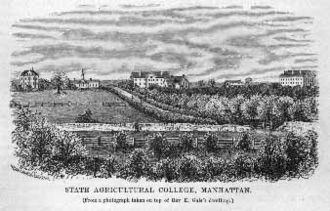 Manhattan, Kansas. 29 September 2016. Archived from the original on 2017-02-17. Retrieved 10 February 2017. ^ "2014 Endowment Market Value" (PDF). nacubo.org. June 30, 2014. Archived from the original (PDF) on February 23, 2017. Retrieved February 10, 2017. 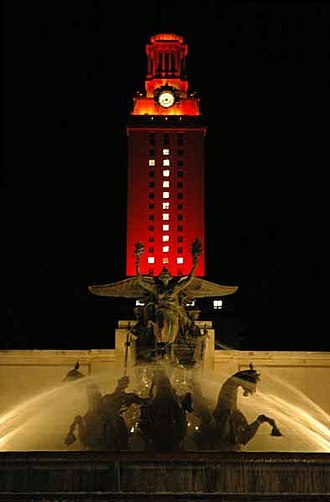 ^ a b "The University of Texas at Austin Facts & Figures". The University of Texas at Austin. Retrieved June 27, 2016. ^ "About WVU". West Virginia University. Retrieved February 10, 2017. ^ "Big 12 Adds Affiliate Members for Gymnastics and Wrestling". Big 12 Conference. July 29, 2015. Retrieved August 25, 2015. ^ "Big 12 Wrestling Adds Affiliate Members" (Press release). Big 12 Conference. July 5, 2017. Retrieved July 5, 2017. ^ "MU News Bureau | MU News Bureau". Munews.missouri.edu. August 20, 2012. ^ "NU enrollment highest in 13 years; up for 5th consecutive year". nebraska.edu. Archived from the original on July 20, 2011. Retrieved August 14, 2011. ^ "American Athletic Conference Adds Old Dominion as an Affiliate Member in Women's Rowing" (Press release). American Athletic Conference. June 21, 2018. Retrieved June 29, 2018. ^ "Big 12 Conference – Official Athletic Site". Retrieved 10 August 2015. ^ "Southern Miss & TCU to Join CCSA Beach Volleyball in Spring 2019" (Press release). Coastal Collegiate Sports Association. January 24, 2018. Retrieved June 18, 2018. ^ Staples, Andy (May 16, 2014). "Should NCAA alter title game requirements? Look at the rule's origin". Sports Illustrated. Retrieved January 5, 2016. ^ "Big 12 still deciding on future of conference title game, scheduling". USA Today. June 15, 2010. ^ "Big 12 To Conduct Football Championship; Revenue Figures Announced – Big 12 Conference – Official Athletic Site". Big12sports.com. Retrieved 2016-06-03. ^ "Newswire – Nielsen Estimates 115.6 Million TV Homes in the U.S., Up 1.2% – Nielsen". Retrieved 10 August 2015. ^ "Big 12 Conference: Influential people saved league – ESPN". Sports.espn.go.com. 2010-06-15. Retrieved 2014-03-29. ^ Ubben, David. "Big 12 extends rights deal, cementing future – Big 12 Blog – ESPN". Espn.go.com. Retrieved 2014-03-29. ^ "By signing away TV rights, Horns offer stability to Big 12". www.statesman.com. Archived from the original on 2013-12-26. Retrieved 2014-03-29. ^ "Updated: Big 12 TV deal made official | CollegeFootballTalk". Collegefootballtalk.nbcsports.com. Retrieved 2014-03-29. ^ Chuck Carlton (2013-05-25). "Carlton: A year into Big 12 tenure, Bob Bowlsby has seen conference stabilize, but won't rest on his laurels | Dallas Morning News". Dallasnews.com. Retrieved 2014-03-29. ^ "What Exactly Are Tier Three Rights?". ^ "A Year Later, Big 12 Is Stronger Than Ever – Big 12 Conference – Official Athletic Site". Big12sports.com. Retrieved 2014-03-29. ^ "Longhorn Network Contract Between Texas and ESPN Revealed, Big 12 Future Not Bright". The Big Lead. 2011-08-08. Retrieved 2014-03-29. ^ a b c d e f g h i j k l m n Barnhouse, Wendell (June 4, 2010). "Championship Sites Selected". Big 12 Conference. Retrieved 2010-06-06. ^ Spring Meetings: Friday Media Update. Kansas City, Missouri. 2011-06-03. Retrieved 2013-01-02. This is the place when we always announce the revenue distribution for the year, and we will be distributing 145 million [dollars] to our member institutions at the conclusion of this year. ^ a b Barnhouse, Wendell (2013-05-31). "Big 12 Announces Record Revenue At Spring Meetings". Big 12 Conference. Retrieved 2013-06-01. ^ Barnhouse, Wendell (2014-05-30). "Big 12 Announces Record Revenue Distribution". Big 12 Conference. Retrieved 2014-06-05. ^ Ubben, David (2015-05-29). "Big 12 distributes $252 million in annual revenue". FOX Sports. Retrieved 2015-05-29. ^ "Big 12 strong financially as teams split $348M in revenue". FOX Sports. June 2, 2017. Retrieved 2017-06-04. ^ Griffin, Tim (May 26, 2009). "How the Big 12 teams rank in revenue-sharing funds". ESPN. Archived from the original on May 16, 2010. Retrieved 2010-06-06. ^ a b "Sharing A Bright Future". Big 12 Conference. June 3, 2011. Retrieved 2011-06-07. ^ Kerkhoff, Blair (June 5, 2010). "Big 12 problems trace to league's roots". The Kansas City Star. Archived from the original on June 8, 2010. Retrieved 2010-06-06. ^ Griffin, Tim (2009-05-26). "How the Big 12 teams rank in revenue-sharing funds". ESPN.com. Retrieved 2013-06-01. ^ Matter, Dave (June 3, 2010). 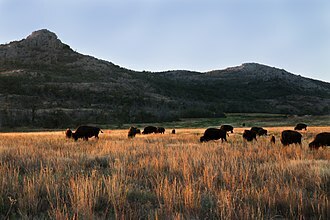 "TV is Big 12's shot at curbing grazing". Columbia Daily Tribune. Archived from the original on June 8, 2010. Retrieved 2010-06-06. ^ "Big 12 and Fox Sports Media Group Announce Landmark Agreement". Big 12 Conference. 2011-04-13. 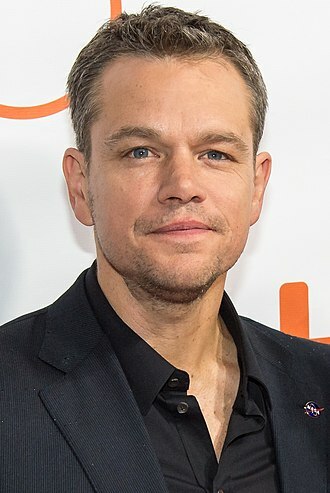 ^ Barron, David (2011-04-13). "Big 12, Fox Sports reach $1.1 billion TV agreement". Houston Chronicle. ^ "Big 12 Announces New Media Rights Deal With ESPN & FOX Sports Media Group". Big 12 Conference. 2012-09-07. ^ McMurphy, Brett (2012-09-07). "Big 12 strikes new media deal". ESPN. ^ Kerkhoff, Blair (2013-01-16). "Forbes: Big Ten tops revenue list but Big 12 richest league per school". Kansas City Star. Retrieved 2013-01-17. ^ Big 12 Business Meetings – Commissioner Bowlsby 2. Big 12 Digital Network. 2015-05-29. Retrieved 2015-05-29. [...] and then it ultimately peaks out at about 44 million dollars per school in the late stages of our television agreement. ^ "Methodology". Archived from the original on 2015-09-28. ^ a b "NCAA FINANCES". Archived from the original on 2015-09-28. ^ "Spending database". Archived from the original on 2015-09-28. ^ "Jack Trice Stadium – Football". Iowa State University Department of Intercollegiate Athletics. Archived from the original on November 7, 2010. Retrieved October 18, 2010. ^ "Memorial Stadium". University of Kansas Athletics Department. Retrieved October 18, 2010. 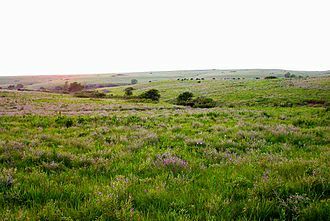 ^ "Kansas State Athletics Facilities". Kansas State University. Archived from the original on September 30, 2010. Retrieved October 18, 2010. ^ "Memorial Stadium". University of Oklahoma Athletics Department. Archived from the original on October 30, 2010. Retrieved October 18, 2010. ^ "Boone Pickens Stadium". Oklahoma State University Athletic Department. Retrieved October 18, 2010. ^ "Darrell K Royal-Texas Memorial Stadium". University of Texas Athletic Department. Archived from the original on October 28, 2010. Retrieved October 18, 2010. ^ "TCU's Amon G Carter Stadium Upgrades". star-telegram.com. Retrieved 2018-06-08. ^ "Jayhawks remember nightmare at TCU". KUsports.com. Retrieved 2016-02-06. ^ "New Jones AT&T Stadium addition moving on schedule". Lubbock Avalanche-Journal. Archived from the original on August 31, 2010. Retrieved October 23, 2010. ^ "Demand for Tech football tickets red-hot". ESPN – Dallas/Ft Worth. Archived from the original on December 3, 2010. Retrieved October 23, 2010. ^ "2010 Texas Tech Red Raiders Football Media Supplement" (PDF). Texas Tech University Athletics. Retrieved October 23, 2010. ^ "Texas Tech 2010 Football Game 1 Notes (SMU)". Texas Tech University Athletics. Retrieved October 23, 2010. ^ "Milan Puskar Stadium". West Virginia University Athletics. Archived from the original on August 23, 2013. Retrieved August 6, 2013. ^ "WVU Coliseum". West Virginia University Athletics. Archived from the original on August 23, 2013. Retrieved August 6, 2013. ^ "New Ballpark". West Virginia University Athletics. Archived from the original on October 7, 2014. Retrieved November 2, 2014. ^ "Iowa State Prolongs Baseball Season". The Telegraph-Herald. Dubuque, Iowa. May 14, 2001. ^ "About Iowa State Club Baseball". Iowa State Club Baseball. Archived from the original on September 27, 2011. Retrieved August 31, 2011. ^ "Summary ALL DIVISIONS/COLLEGIATE TOTAL CHAMPIONSHIPS" (PDF). Archived from the original (PDF) on December 20, 2013. Retrieved March 13, 2013. ^ "Two New Sports". Big12Sports.com. Retrieved August 14, 2011. ^ "All-Time Big 12 Championships". ^ DeLassus, David. "Kansas State University football records—1996". College Football Data Warehouse. Archived from the original on October 20, 2012. Retrieved September 4, 2013. ^ a b "Football Non-Conference Scheduling Requirement Announced". Big12Sports.com. ^ "Big 12 approves playoff format". Harlan, Kentucky: Harlan Daily Enterprise, via Google News. Associated Press. June 16, 1995. ^ Hoover, John E (December 5, 2010). "OU defeats Nebraska 23–20, wins Big 12 title". Tulsa World. ^ Barfknecht, Lee (June 4, 2010). "Football: Big 12 title game stays in Dallas". Omaha World-Herald. Archived from the original on September 8, 2012. ^ Brown, Chip (June 14, 2011). "Remaining Schools in Big 12 Close to Saving League". KBTX-TV. Bryan, Texas. Archived from the original on June 16, 2010. ^ "2013–14 Bowl Agreements". Big 12 Conference. July 1, 2009. ^ "Border Showdown Continues". Retrieved 2012-10-23. ^ a b "Mascot & Football Traditions". mutigers.com. Retrieved August 14, 2011. ^ "Men's Basketball – 2011–2012 Schedule & Results-All Teams full season schedule". Big 12 official Website. Retrieved October 4, 2011. ^ "Big 12 Baseball 2013 Media Guide; History & Records" (PDF). Big 12 Conference. 2013. Retrieved 25 May 2013. West Virginia University is a public, land-grant, space-grant, research-intensive university in Morgantown, West Virginia, United States. WVU Extension Service provides outreach with offices in all of West Virginias 55 counties, since 2001, WVU has been governed by the West Virginia University Board of Governors. Enrollment for the Fall 2015 semester was 28,776 for the main campus, WVU offers 191 bachelors, masters and professional degree programs in 15 colleges. WVU has produced 24 Rhodes Scholars, including former WVU president David C, the University has produced 36 Goldwater Scholars,22 Truman Scholars, and five members of USA Todays All‑USA College Academic First Team. On December 4,1868, lawmakers renamed the college West Virginia University to represent a range of higher education. The University was built on the grounds of three academies, the Monongalia Academy of 1814, the Morgantown Female Academy of 1831. 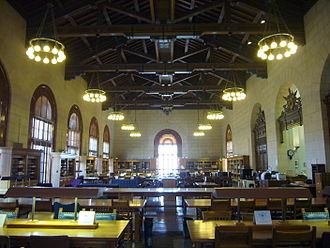 Upon its founding, the newspaper claimed that a place more eligible for the quiet and successful pursuit of science. The first campus building was constructed in 1870 as University Hall, and was renamed Martin Hall in 1889 in honor of West Virginia Universitys first president, the Rev. Alexander Martin of Scotland. After the Woodburn Seminary building was destroyed by fire in 1873, the name was changed to University Building in 1878, when the College of Law was founded as the first professional school in the state of West Virginia. The precursor to Woodburn Circle was finished in 1893 when Chitwood Hall was constructed on the north side. 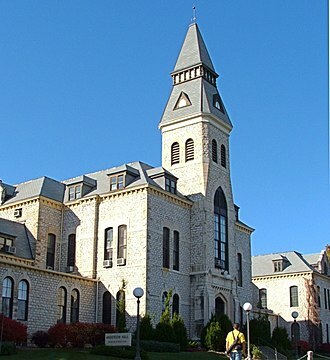 In 1909 a north wing was added to University Building, throughout the next decade, Woodburn Hall underwent several renovations and additions, including the construction of the south wing and east tower housing the Seth Thomas clock. The three Woodburn Circle buildings were listed on the National Register of Historic Places in 1974, in 1899, the Vance Farm was acquired for the West Virginia University Experiment Station. WVU was required to have a Cadet Corps under the terms of the Morrill Act of 1862, the heavy military influence led to opposition of female enrollment that lasted through the first decade of the university. Irving is a principal city located in Dallas County in the U. S. state of Texas. 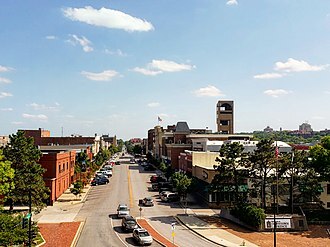 According to a 2013 estimate from the United States Census Bureau, Irving is part of the Dallas–Fort Worth metroplex. 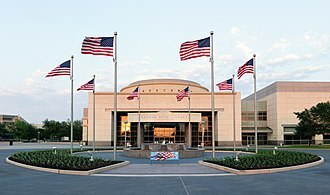 In January 2011 the city completed the Irving Convention Center at Las Colinas, part of Dallas/Fort Worth International Airport lies inside the city limits of Irving. 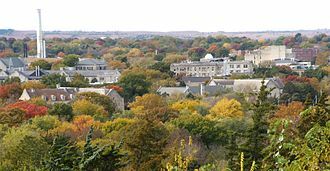 Irving was founded in 1903 by J. O and it is believed that literary author Washington Irving was a favorite of Netta Barcus Brown, and consequently the name of the town site, was chosen. Irving originally began in 1889 as an area called Gorbit, Irving was incorporated April 14,1914, with Otis Brown as the first mayor. 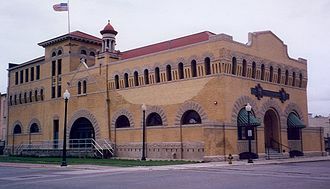 By the late nineteenth century the Irving area was the site of churches, the Irving district public school system dates back to the 1909 establishment of Kit and Lively schools. Population growth was slow and sometimes halting, with only 357 residents in 1925, by the early 1960s the city had a population of approximately 45,000. A number of manufacturing plants operated in Irving, along with transportation, the University of Dallas in Irving opened in 1956, and Texas Stadium was completed in 1971 as the home field of the Dallas Cowboys. Delta Air Lines Flight 191 crashed in Irving on August 2,1985, Irvings population reached 155,037 in 1990 and the United States Census estimated 236,607 residents in 2016, a 3.5 percent population increase over 2013 census estimates. 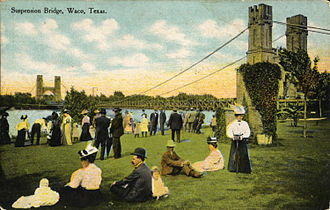 Joseph Rice recorded the history of Irving in his 1989 book, Rice explored Irvings past and culture in his treatment of the city. 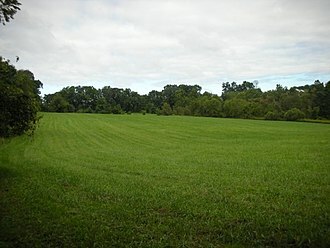 According to the United States Census Bureau, the city has an area of 67.7 square miles. 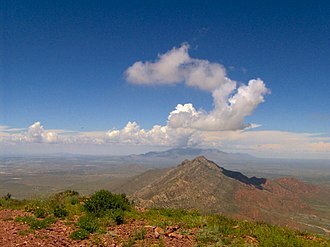 The warmest month on average is July, and the highest recorded temperature was 112 °F in 1980, the average coolest month is January, and the lowest recorded temperature was −8 °F in 1899. 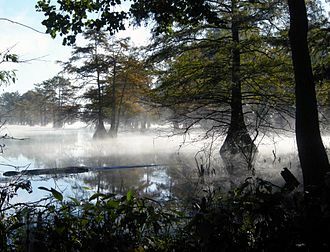 Irving is considered to be part of the subtropical region. May is the average wettest month, as of the census of 2000, there were 191,615 people,76,241 households, and 46,202 families residing in the city. Artistic gymnastics is a discipline of gymnastics in which athletes perform short routines on different apparatus, with less time for vaulting. The sport is governed by the Fédération Internationale de Gymnastique, which designs the Code of Points, within individual countries, gymnastics is regulated by national federations, such as British Gymnastics in the United Kingdom and USA Gymnastics in the United States. Artistic gymnastics is a spectator sport at the Summer Olympic Games. The gymnastic system was mentioned in works by ancient authors, such as Homer, Aristotle and it included many disciplines that would become separate sports, such as swimming, wrestling and riding, and was used for military training. The German educator Friedrich Ludwig Jahn, who was known as the father of gymnastics, invented several apparatus, including the bar and parallel bars. 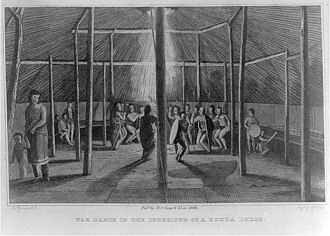 Two of the first gymnastics clubs were Turnvereins and Sokols, in 1881, the FIG was founded, and it remains the governing body of international gymnastics. Gymnastics was included in the program of the 1896 Summer Olympics, the World Championships, held since 1903, were open only to men until 1934. Since that time, two branches of artistic gymnastics have developed, womens gymnastics and mens artistic gymnastics. Unlike mens and womens branches of other sports, WAG and MAG differ significantly in apparatus used at major competitions. Womens gymnastics entered the Olympics as an event in 1928 and was included in the twelfth gymnastics world championships in 1950. Individual women were recognized in the all-around as early as the world championships in 1934. Two years after the womens program was introduced at the 1950 World Championships, it was added to the 1952 Summer Olympics in Helsinki, Finland. The earliest champions in womens gymnastics tended to be in their 20s, larisa Latynina, the first great Soviet gymnast, won her first Olympic all-around medal at the age of 22 and her second at 26, she became the 1958 world champion while pregnant with her daughter. 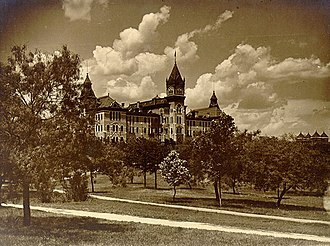 Texas Christian University is a private, coeducational university in Fort Worth, Texas established in 1873 by Addison & Randolph Clark as the AddRan Male & Female College. The campus is located on 272 acres about three miles from downtown Fort Worth, TCU is affiliated with, but not governed by, the Disciples of Christ. The university consists of 8 constituent colleges and schools and has a liberal arts curriculum. 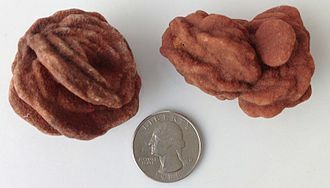 Its mascot is the frog, the state reptile of Texas. For most varsity sports TCU competes in the Big 12 conference of the NCAAs Division I, the university enrolls around 10,394, with 8,892 being undergraduates. As of February 2016, TCUs total endowment was $1.514 billion, Texas Christian University was founded by East Texas brothers Addison & Randolph Clark, together with the support of their father Joseph A. Clark. The Clarks were scholar-preacher/teachers associated with the Restoration Movement and these early leaders of the Restoration Movement were the spiritual ancestors of the modern Disciples of Christ, as well as major proponents of education. Following their return from service in the Civil War, brothers Addison and this school, known as the Male & Female Seminary of Fort Worth, operated from 1869 to 1874. Both Clarks nourished a vision for an institution of education that would be Christian in character. 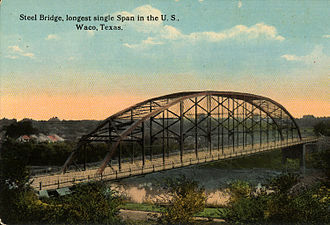 They purchased five blocks of land in downtown Fort Worth in 1869 for that purpose, but from 1867–1872, the character of Fort Worth changed substantially due to the commercial influence of the Chisholm Trail, the principal route for moving Texas cattle to the Kansas rail heads. A huge influx of cattle and money transformed the frontier village into a booming, brawling cowtown. 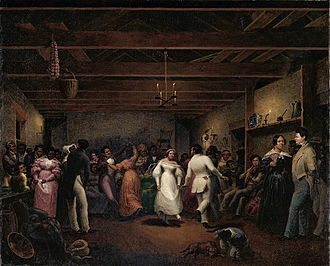 Its rough and rowdy reputation had, by 1872, acquired it the nickname of Hells Half Acre, the Clarks feared that this negative environment undermined the fledgling universitys mission. In 1873 the Clark brothers moved South and founded AddRan Male & Female College, TCU recognizes 1873 as its founding year, as it continues to preserve the original college through the AddRan College of Liberal Arts. 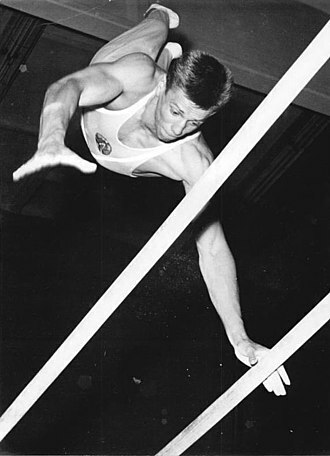 A gymnast performing on the parallel bars in 1962. Diego Hypólito vaulting from a modern vaulting table during the 2007 Pan American Games. Néstor Abad's on floor exercise in 2010. Alberto Braglia won the gold medal in gymnastics at the 1908 and 1912 Olympics. Kenneth Winston Starr was President of Baylor from 2010 to 2016. Donald W. Reynolds Center for the Performing Arts, formerly Holmberg Hall, exemplifies the school's architectural style. 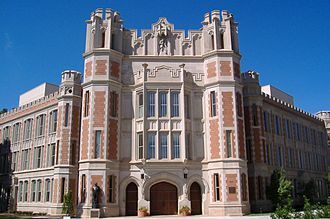 Bizzell Library sits at the heart of the university's Norman campus. Price Hall, an addition to the Michael F. Price College of Business, finished construction in 2005. 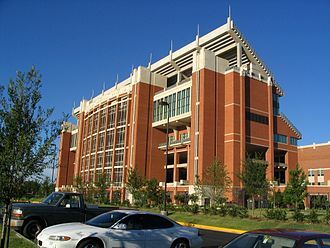 Memorial Stadium houses University of Oklahoma football games, as well as the campus bookstore. 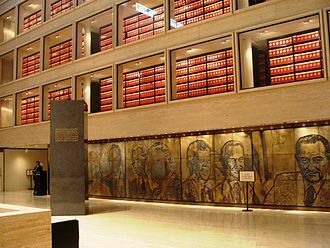 The Don L. Love Memorial Library is the main library in the University of Nebraska-Lincoln library system. Statue of TCU founders Addison and Randolph Clark. Boyd "Slim" Arnold, the first Mountaineer mascot to don the traditional buckskin uniform. His selection in 1937 marked the beginning of an official process to name the mascot annually. Woodburn Hall is one of the oldest buildings at West Virginia University and has long been a symbol of the university. Woodburn Hall was completed in 1876 and is the centerpiece of Woodburn Circle, the oldest part of the WVU campus. 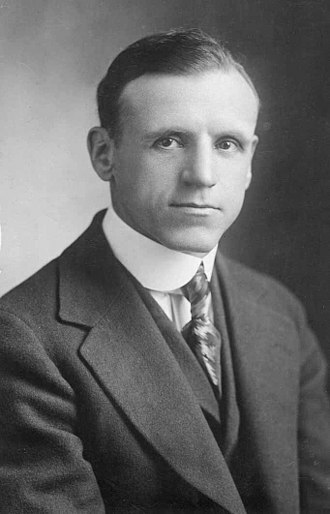 Charles L. Robinson was instrumental in the founding of Lawrence. Clockwise from top: Main Street in downtown Ames, Iowa State University Alumni Hall, Marston Water Tower and Hoover Hall at ISU, Reiman Gardens, a train station in Ames, and Beardshear Hall.